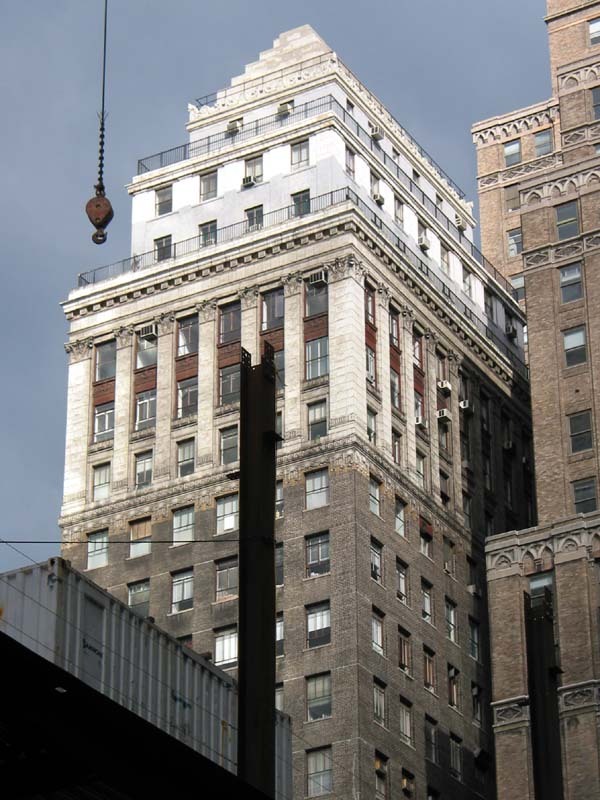 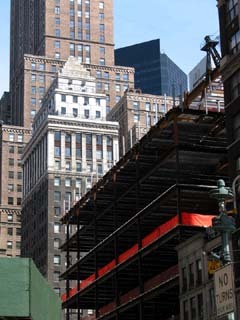 300 Madison is rising in front of 50 East 42nd Street (Heckscher Building). The view from 42nd Street and Fifth Avenue on 8 June 2002. The steel beams of 300 Madison in front of 50 East 42nd Street (Heckscher Building) on 6 April 2002.